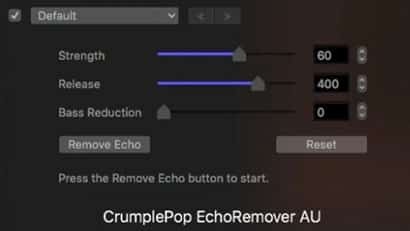 Whether your audio was recorded in a gymnasium or a hollow-sounding room, EchoRemover™ by CrumplePop is a plugin that removes echo from your audio – right inside FCPX, Premiere, Logic X, Garageband and Audition. 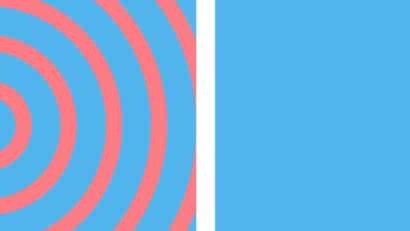 If your audio was recorded in a space with echo and reverb, it can make your entire video unusable. The sound of echo immediately makes video look unprofessional, and it is distracting for viewers. EchoRemover™ by CrumplePop actually removes the echo from your audio, leaving you with clean, professional-sounding video. 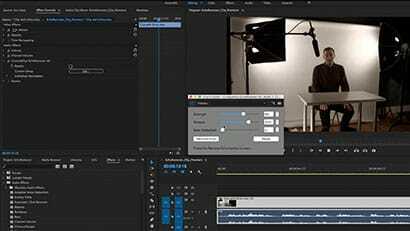 As a video editor, you have probably heard "if your video has echo, you are stuck. There is no way to remove echo from your audio." Thanks to EchoRemover™ by CrumplePop, this is no longer true. You can now remove echo from your audio. How did the impossible become possible? The secret is the powerful reverb removal algorithm at the heart of EchoRemover™. You will find that it will restore audio with mild, moderate, and in some cases even severe echo. Was your interview recorded in an empty hallway? A small room that sounds hollow? Did you record a video or screencast using the built-in Mic on your iMac? EchoRemover™ can quickly and easily rescue this audio. Just drag and drop EchoRemover™ onto your audio track, fine-tune with three simple sliders if you like, and the echo sound is removed, rescuing your video. To see how use EchoRemover in Final Cut Pro X, check out this brief video. To see how use EchoRemover in Premiere Pro, check out this brief video.